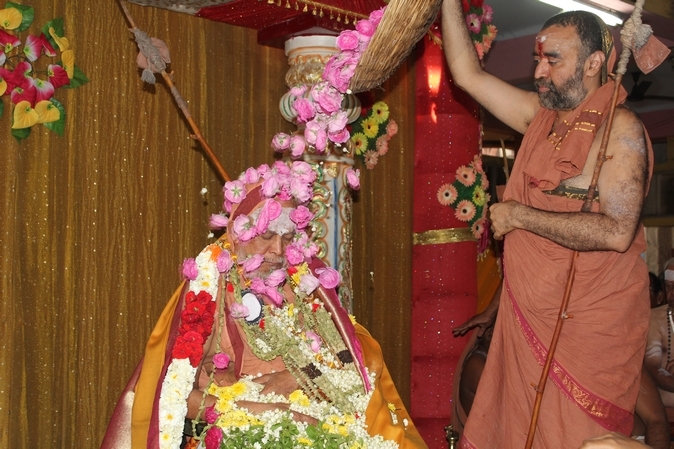 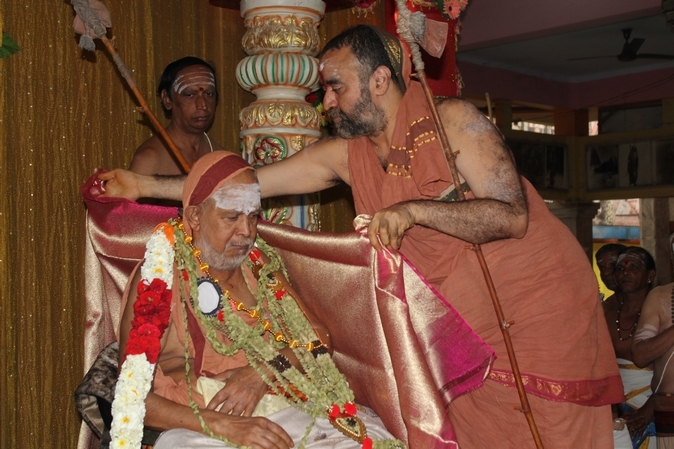 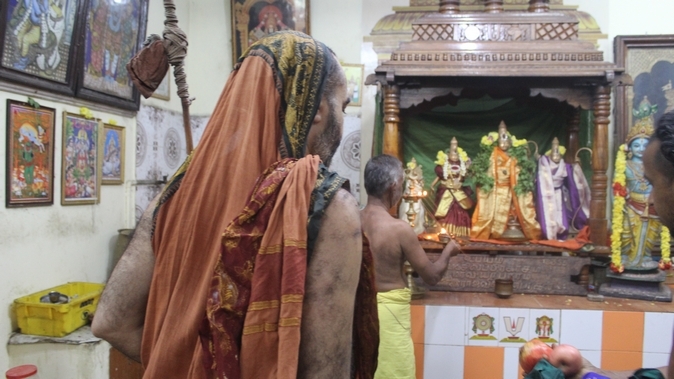 The 46th Jayanthi of His Holiness Pujyasri Shankara Vijayendra Saraswathi Shankaracharya Swamiji was celebrated at Shrimatam, Kanchipuram.�Jayanthi day celebrations began early in the morning in Srimatam with Suprabhatam and Viswaroopa Darshan of His Holiness. 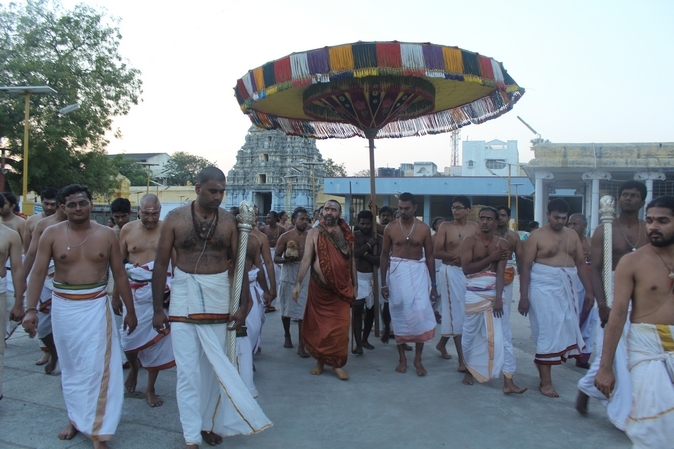 Mangala-isai by Srimatam Nadaswara vidwans marked the beginning of the auspicious day. 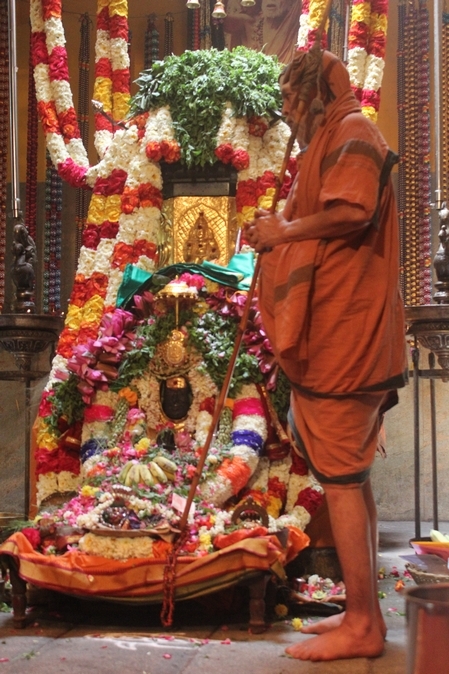 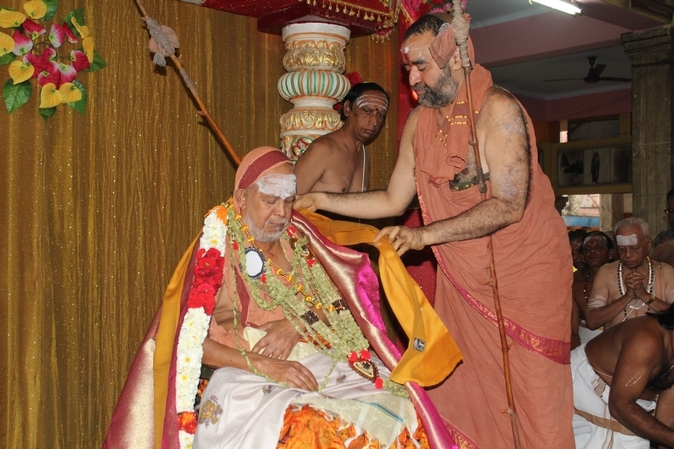 His Holiness Pujyasri Sankara Vijayendra Saraswathi Shankaracharya Swamiji adorned the Adhistanam of Pujyasri Chandrasekharendra Saraswathi Mahaswamiji with garlands, shawl and flower kreetam. 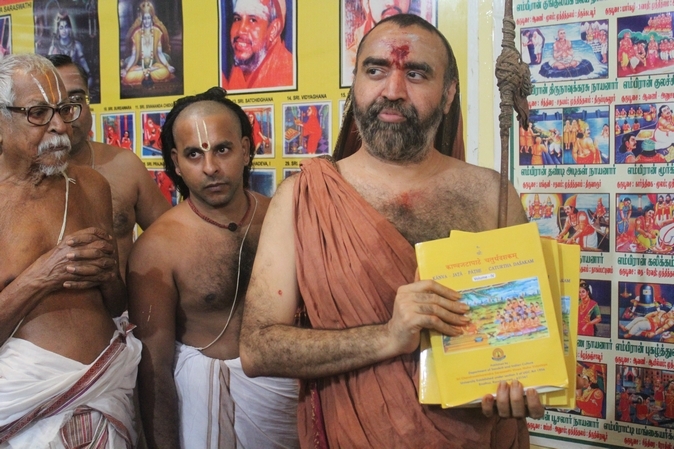 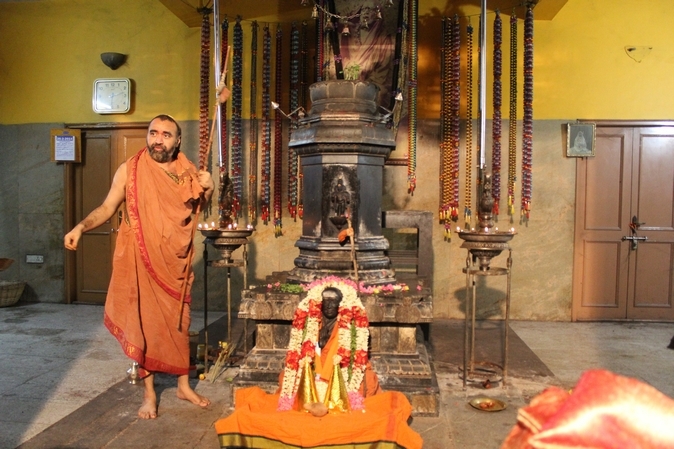 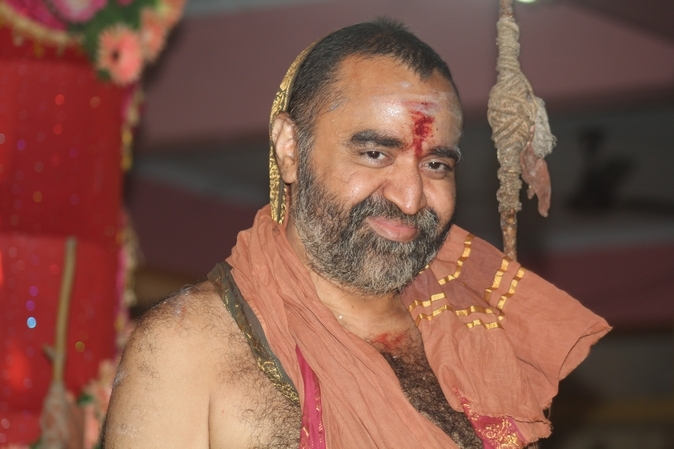 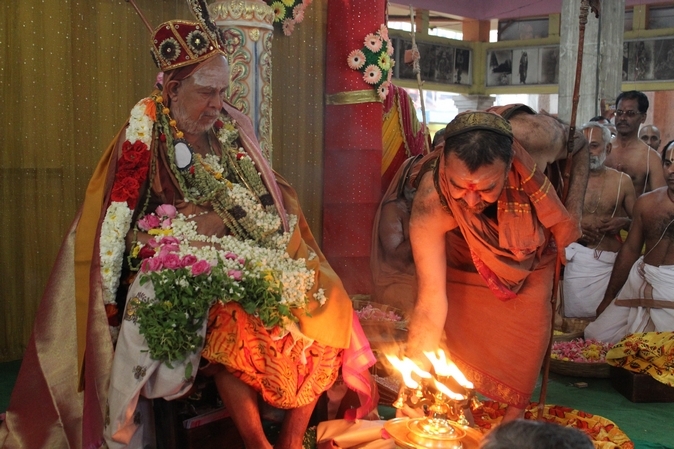 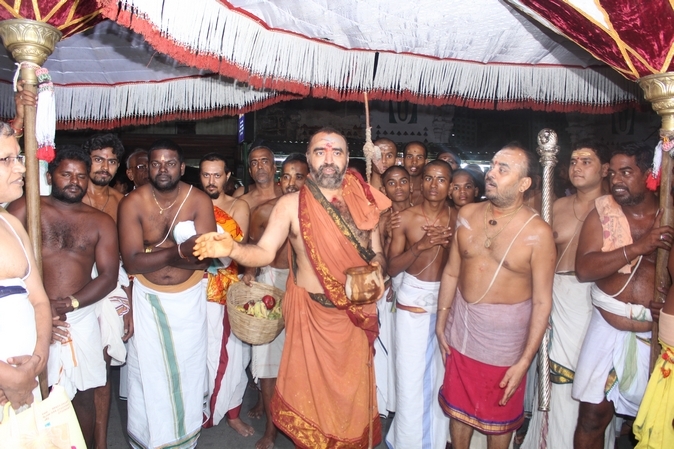 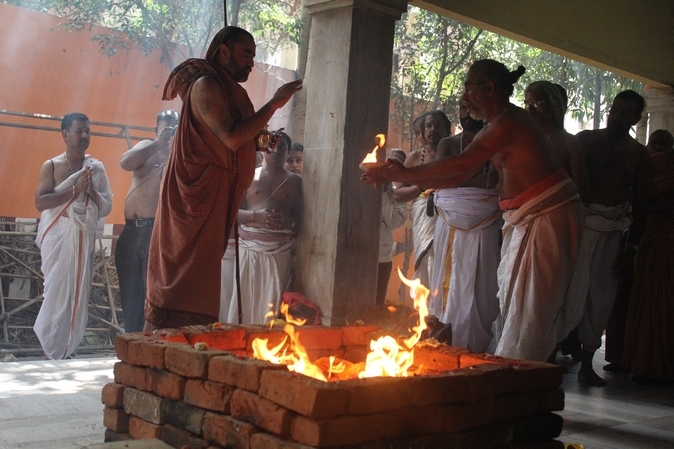 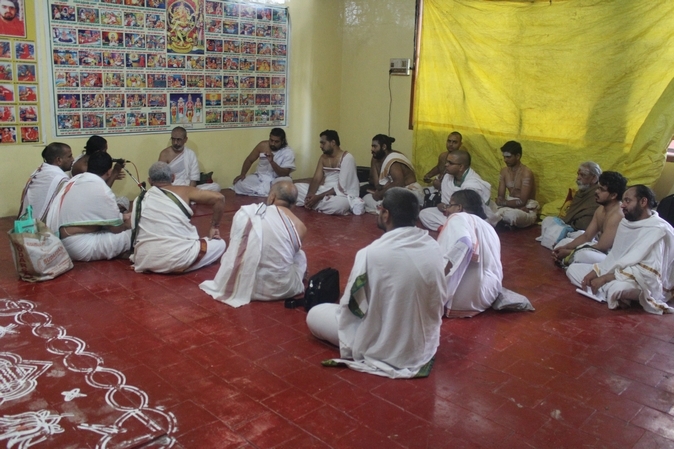 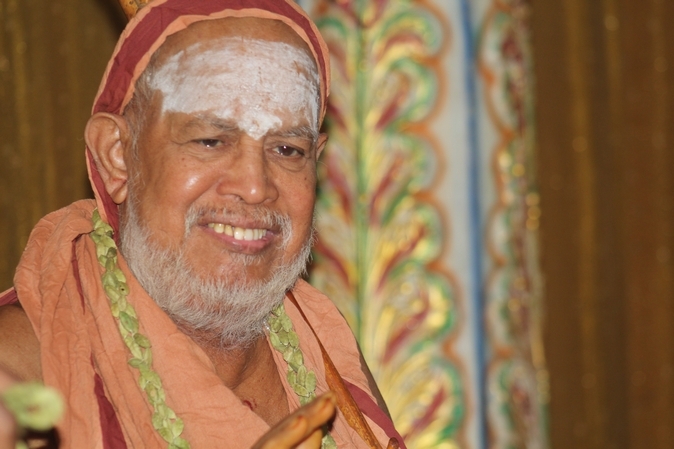 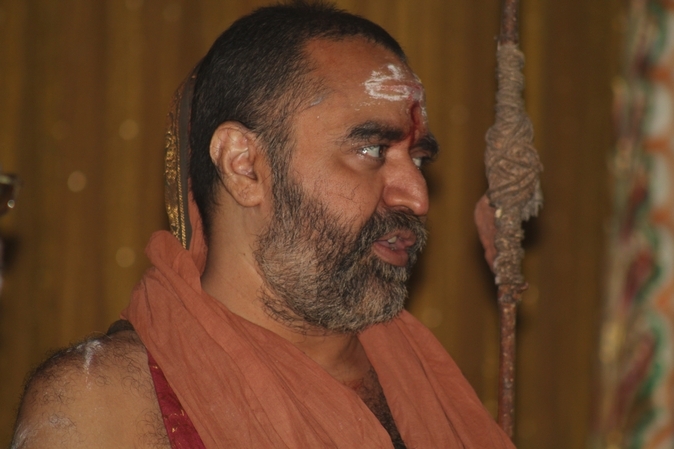 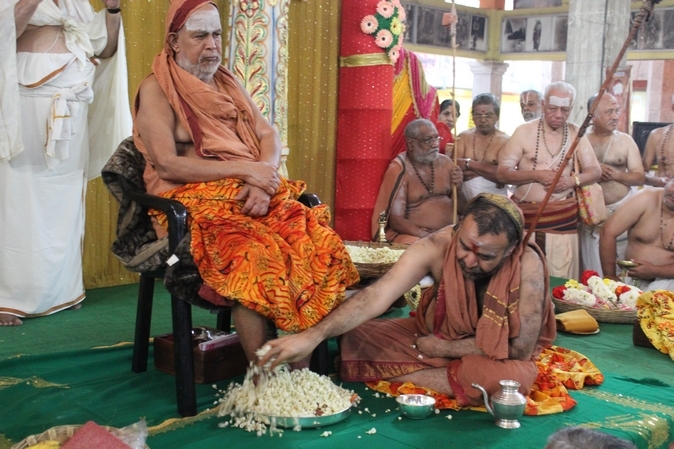 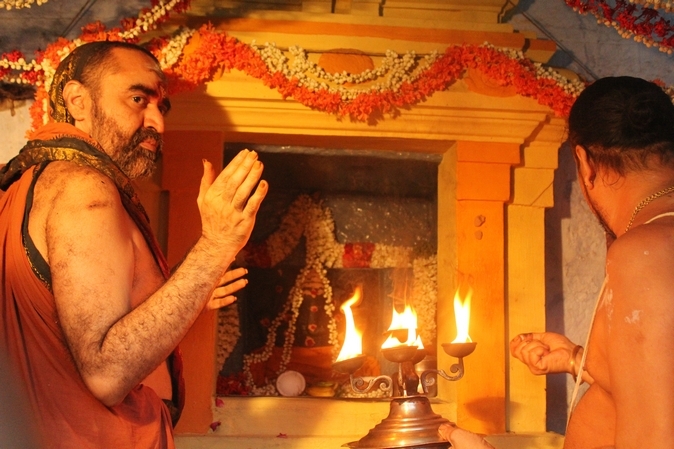 Kanakaabhishekam was performed to His Holiness Pujyasri Jayendra Saraswathi Shankaracharya Swamiji by His Holiness Pujyasri Sankara Vijayendra Saraswathi Shankaracharya Swamiji as�Pandits recited the Pushpanjali Stotra on His Holiness. 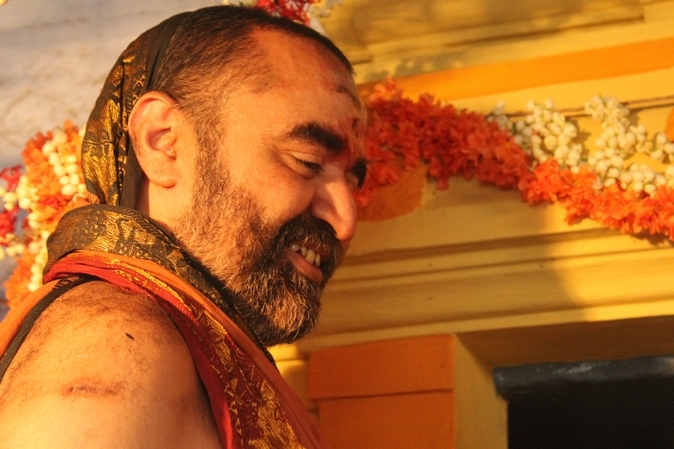 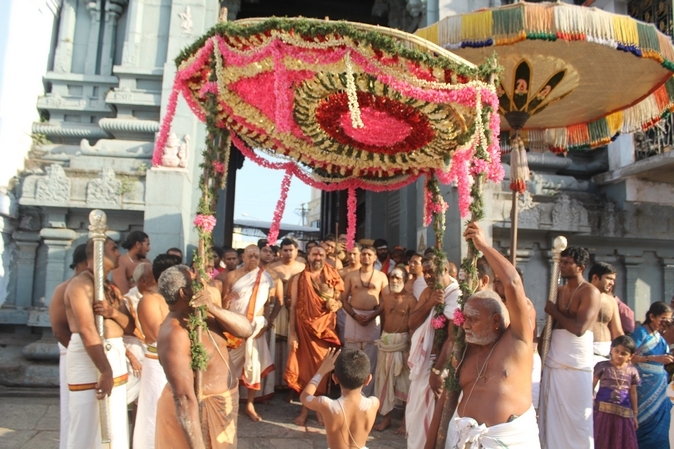 The Kanakaabhisheka was followed by Pushpabhishekam. 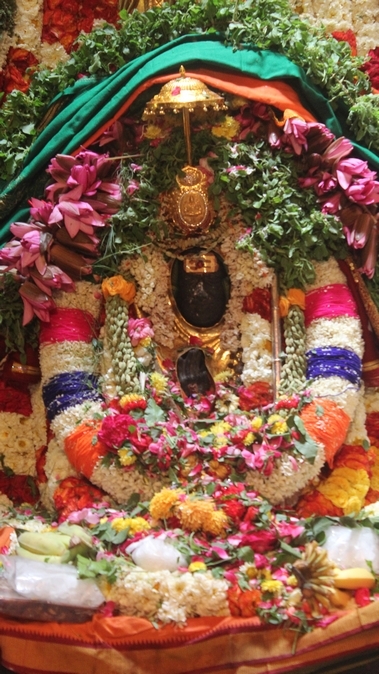 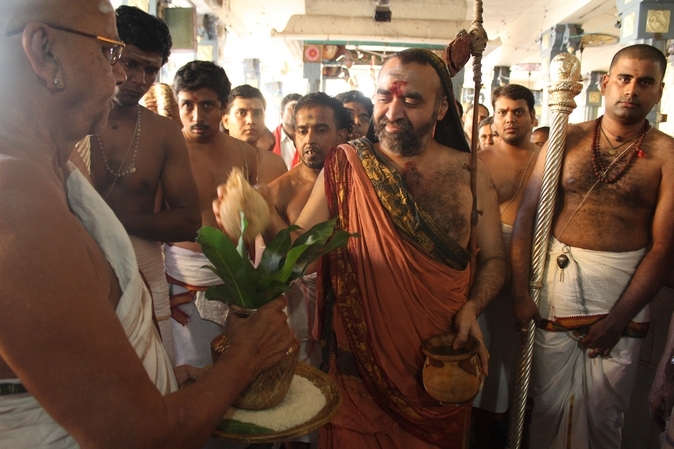 As verses from the Mantrapusham were being chanted, abhishekam was performed to His Holiness with varieties of flowers. 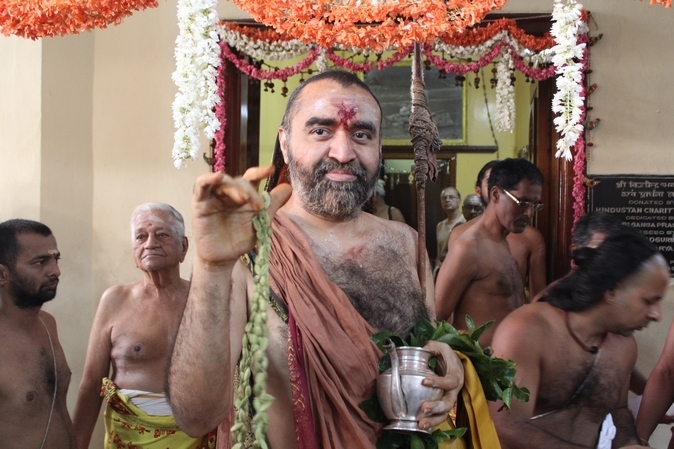 His Holiness was adorned with different types of garlands. 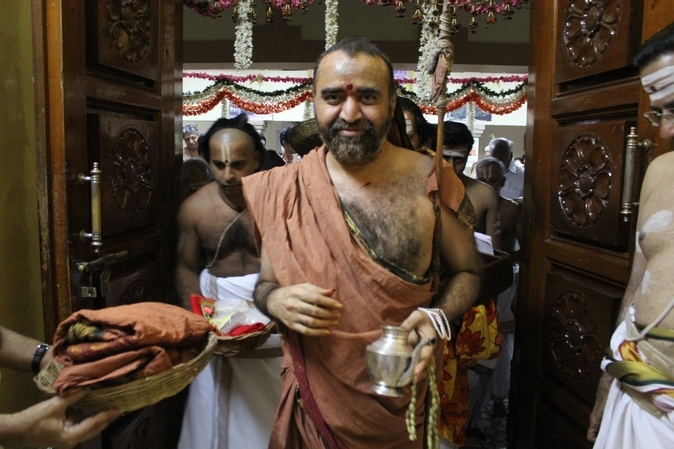 Harati was performed to His Holiness. 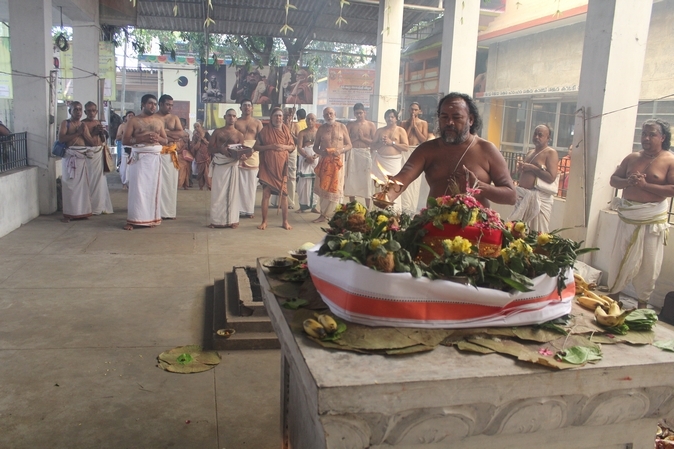 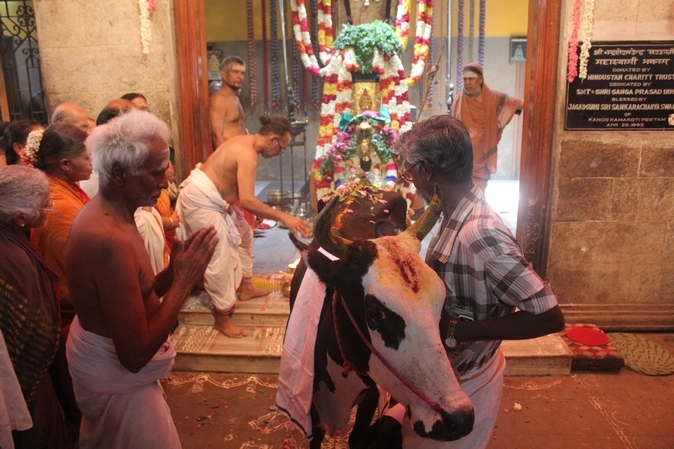 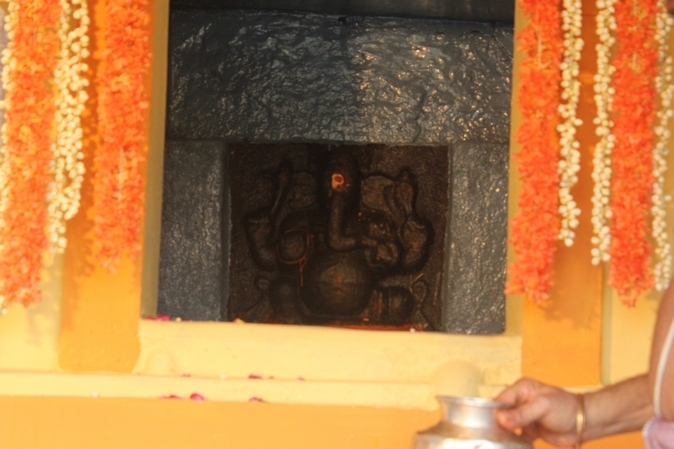 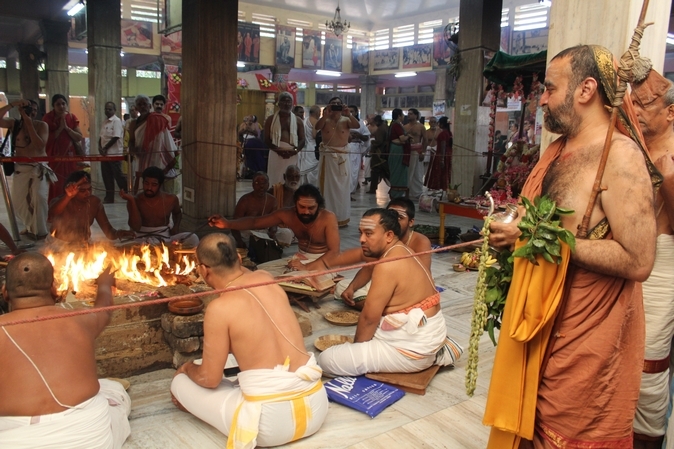 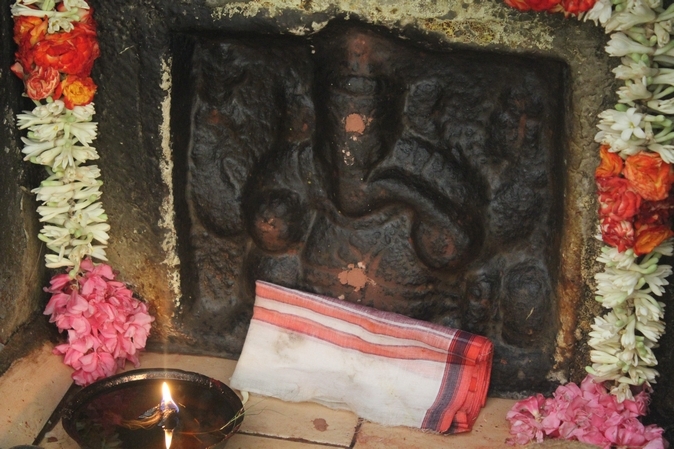 Veda Parayanam, Ganapathi Homam, Navagraha Homam, Ayusha Homam, Pavamana Homam and Maharudra Japa Homam were performed at Srimatam. 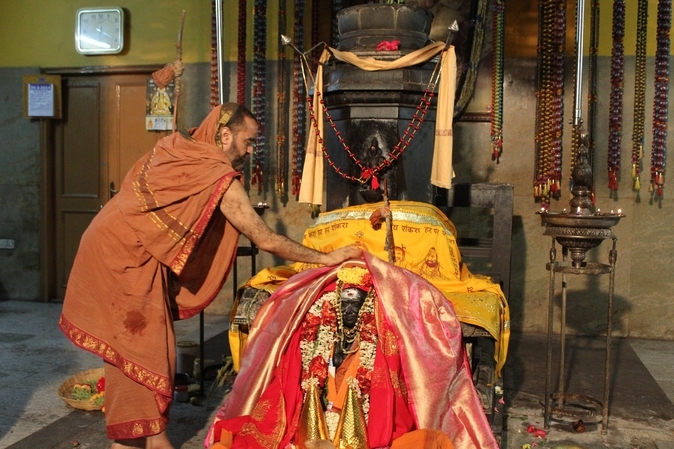 Suvasini puja, Kanya Puja and Dampati Pujas were performed. 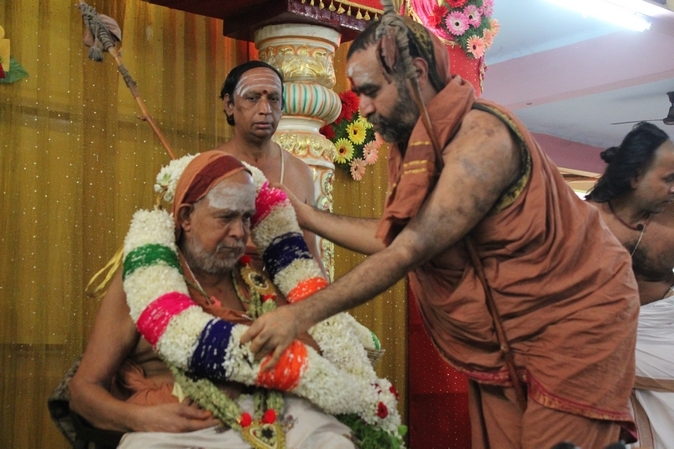 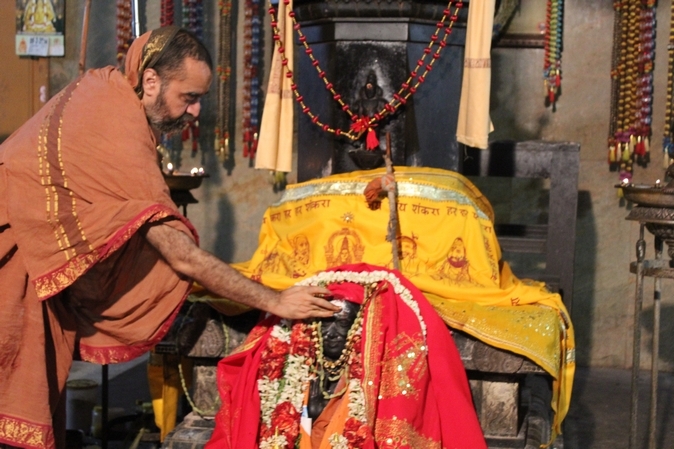 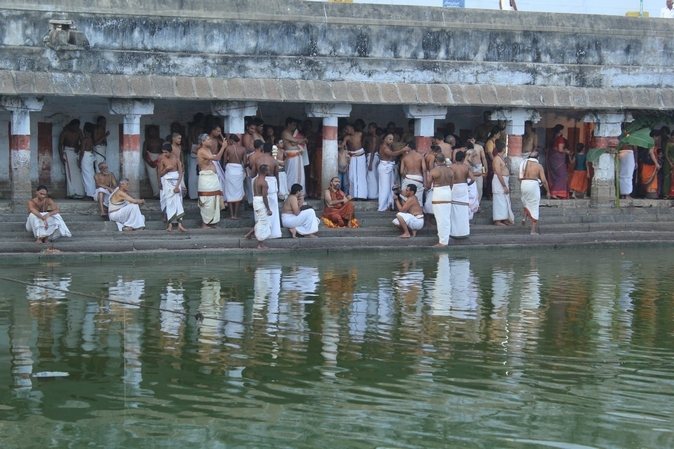 Poornahuti of the homams took place in the presence of Their Holinesses. 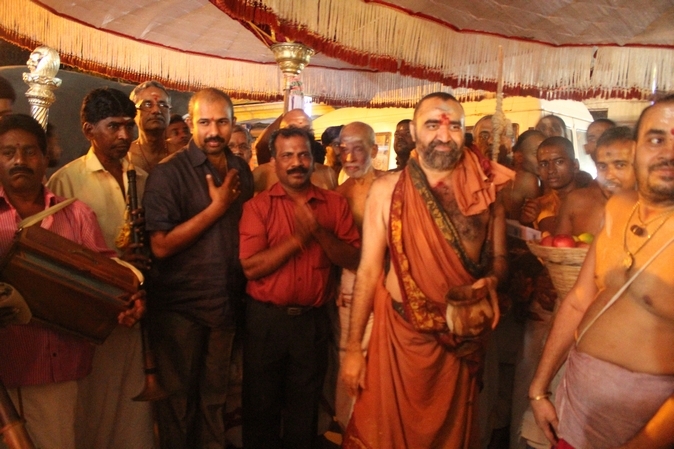 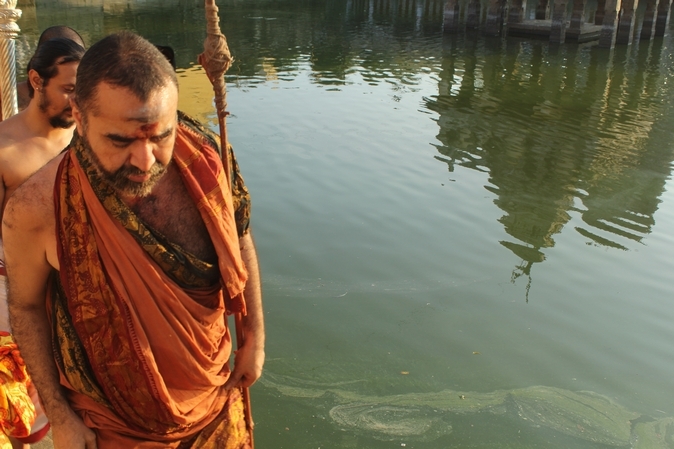 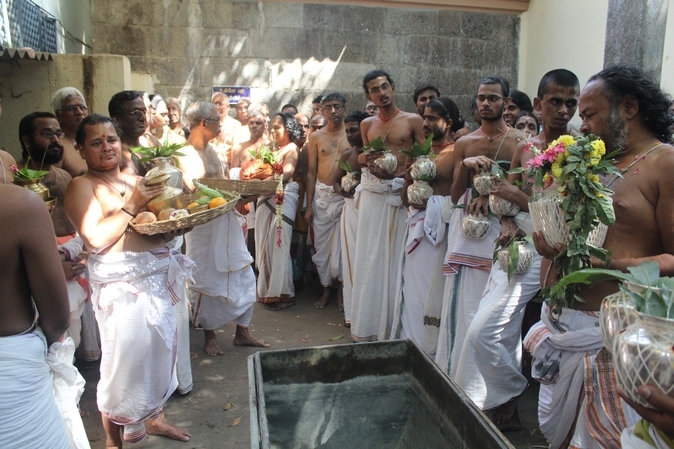 Abhishekam was performed to His Holiness with Sanctified water. 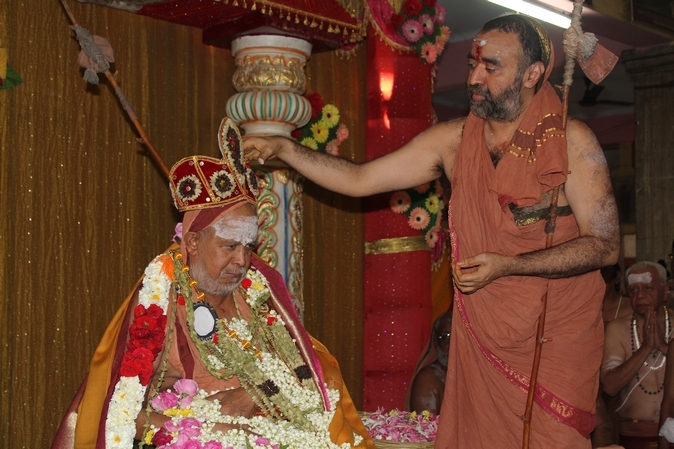 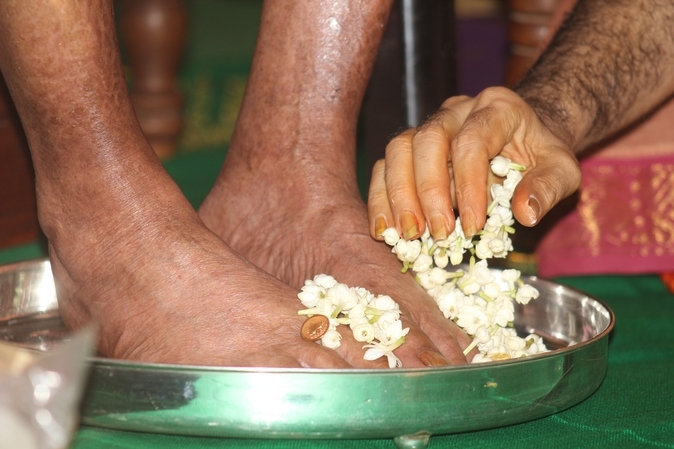 Prasadams from various temples were offered to His Holiness . 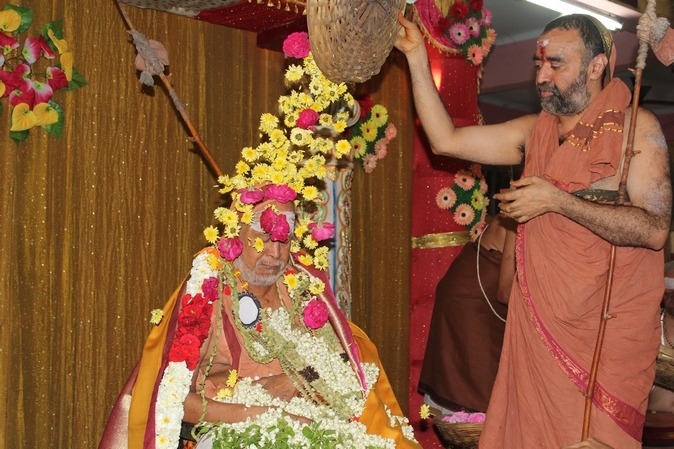 His Holiness performed Chandramouleeswara Puja. 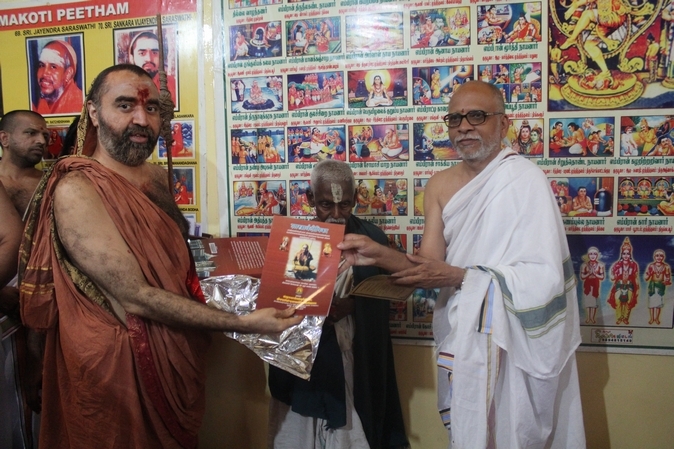 His Holiness released a book titled "Shaastraarta Deepika" published by Sri Chandrasekharendra Saraswathi Viswa Mahavidyalaya. 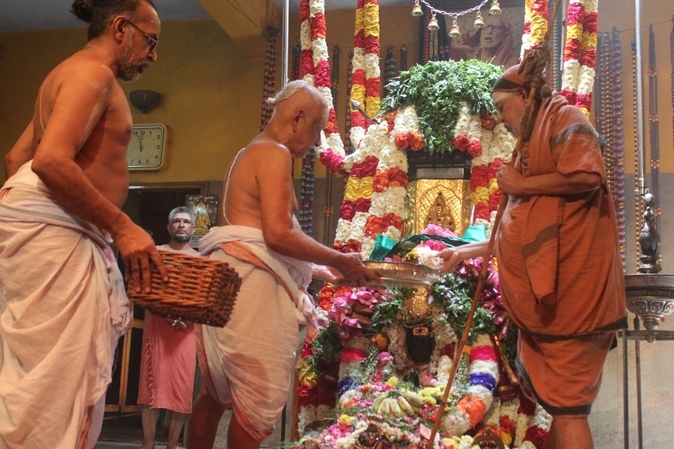 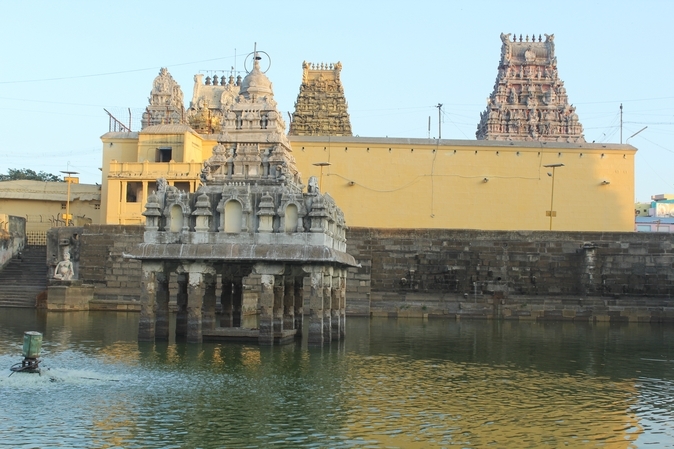 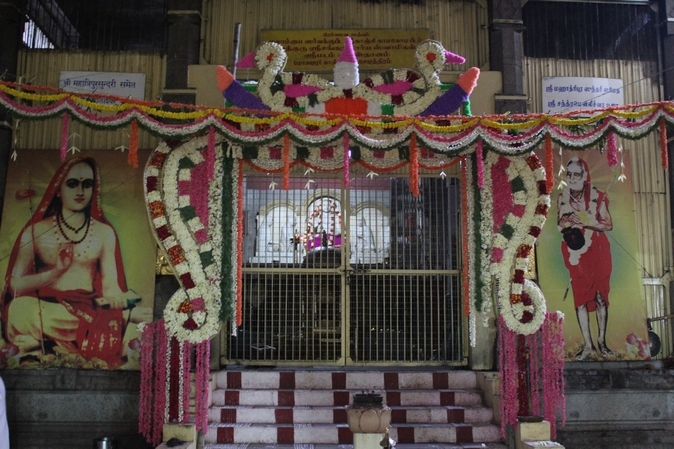 His Holiness visited the Kamakshi Temple and offered pujas at the Ganesha Shrine on the banks of the temple tank, Kamakshi Ambal and Adi Shankara's shrine. 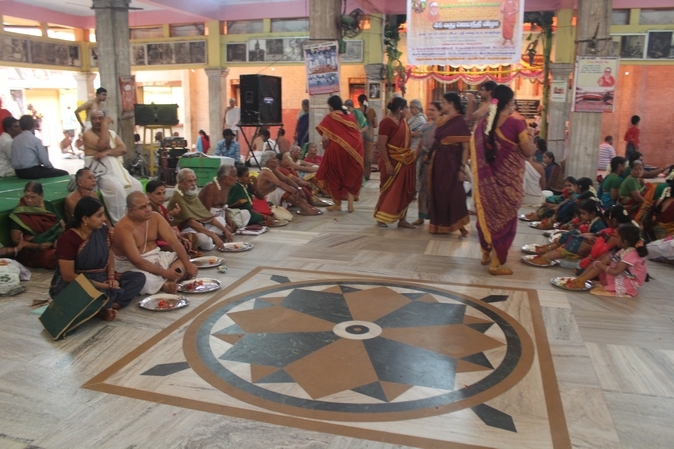 Various cultural and devotional programmes were held in the evening at Srimatam. 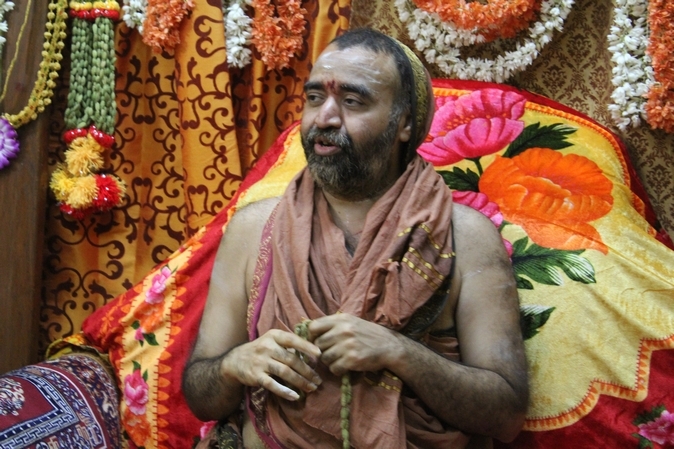 Srimatam Asthana Vidwan Shri. 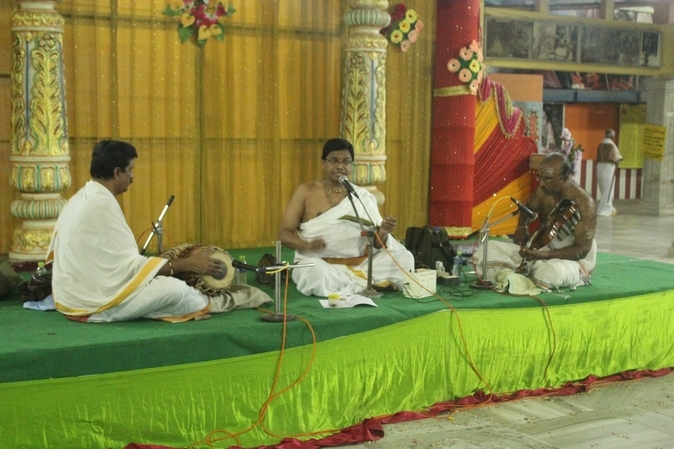 Dr. Ganesh rendered a vocal classical music concert. 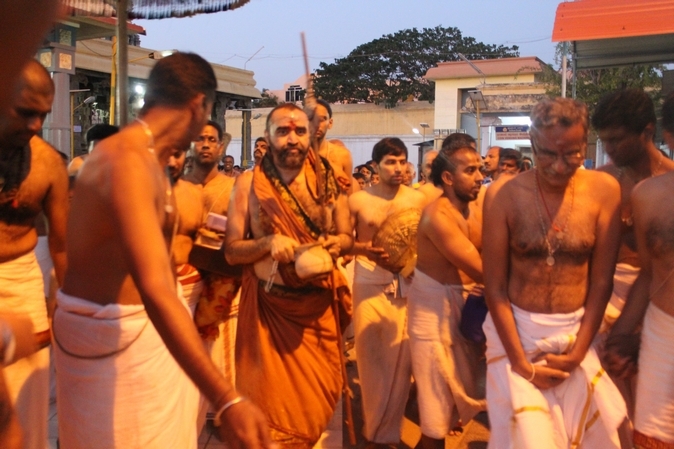 A large number of devotees participated in the Jayanthi Mahotsavam and received the blessings of Pujyasri Acharya Swamijis. 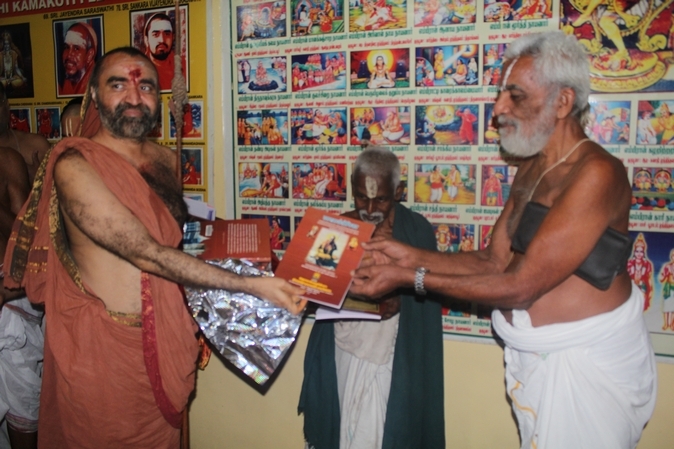 His Holiness releasing the Book "Shaastraartha Deepika "